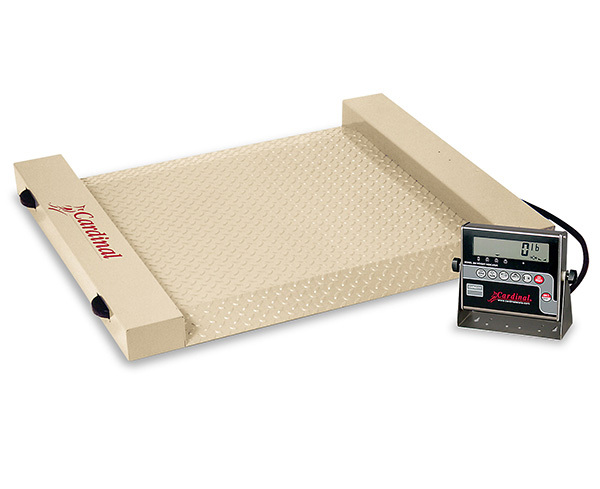 At less than 100 lbs and featuring built-in handles, ramp and wheels, Cardinal's American-made Run-A-Weigh portable scale is easily lifted and moved wherever you need it. A wide 24.5 x 30-inch platform makes weighing barrels, drums and small crates a breeze. Setup is quick and simple with self-aligning feet. Models available in painted mild steel with 204 digital indicator or stainless steel with 190 digital indicator, or standalone (no indicator at all). Available in capacities of 500 or 1,000 lbs.